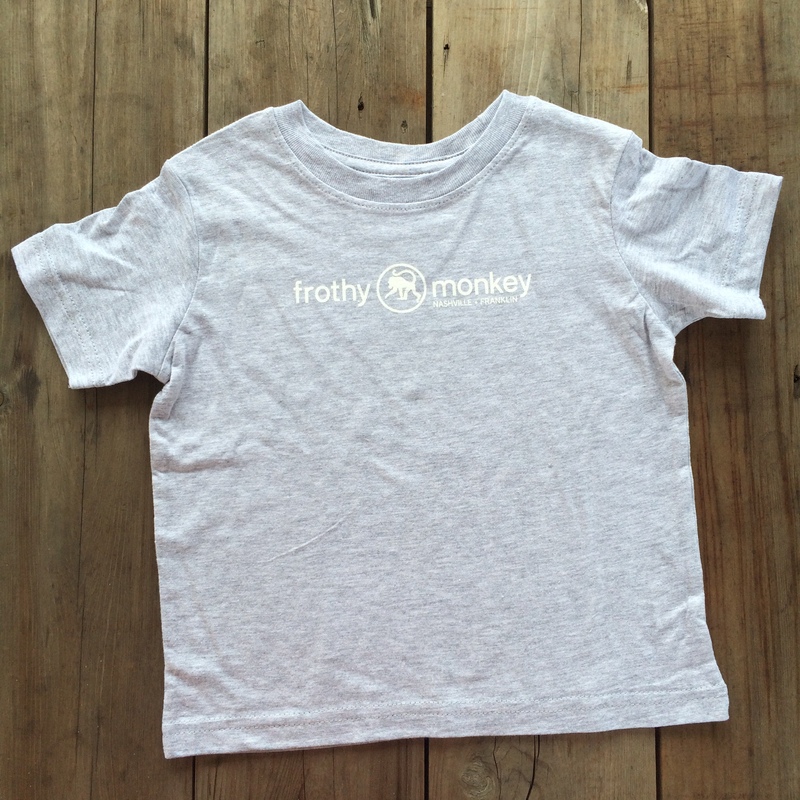 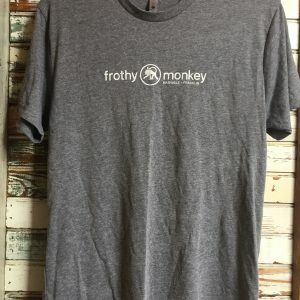 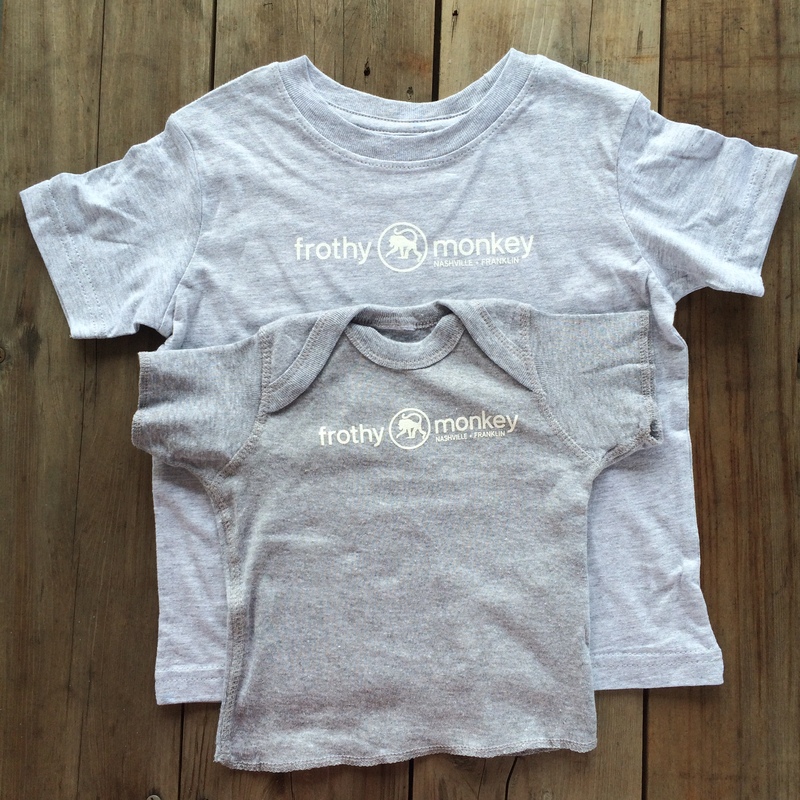 Super soft Frothy Monkey short sleeve logo tees for Newborns through Kids size 6. 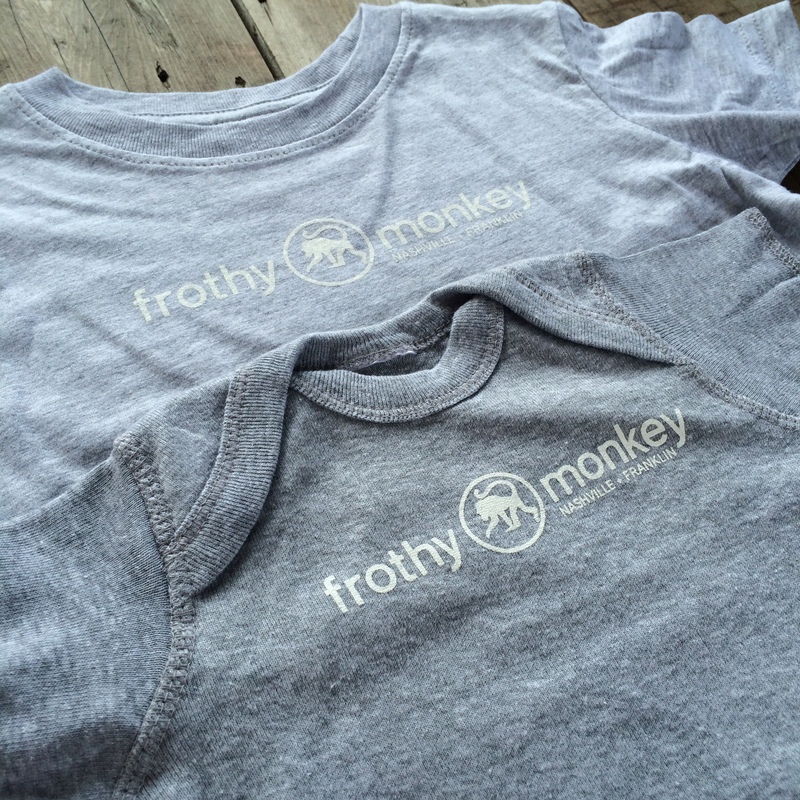 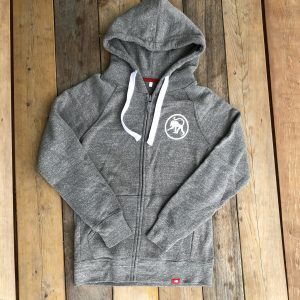 Gray shirt with white logo print. 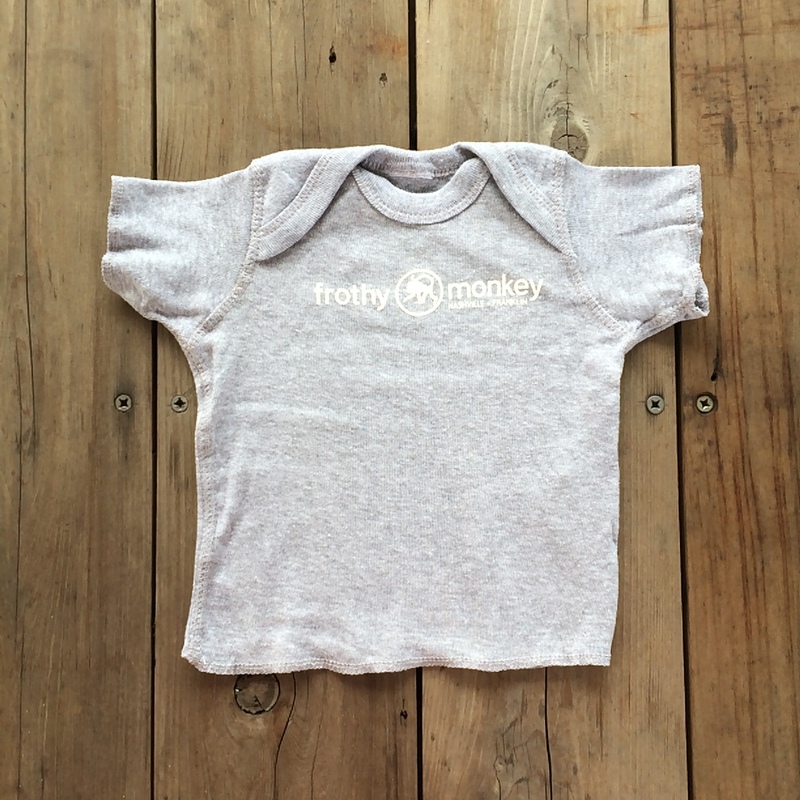 Newborn through 18mos have an envelope neck to easily slip over cute baby noggins.